There has been an increasing number of newborns in Harlem who test positive for THC, the chemical compound in cannabis. FELECIA PULLEN, GSS PhD candidate and chief operating officer of The PILLARS recovery center, is taking to the streets to make a difference through the “Love Yourself, Love Your Baby” campaign. 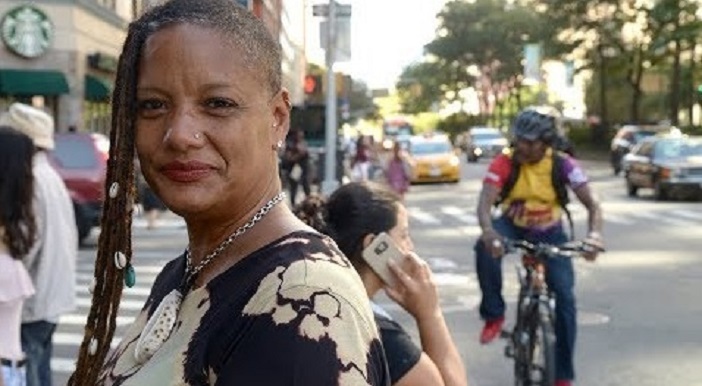 Join the Manhattan Borough President, Gale Brewer, The PILLARS, SAFE in Harlem, NYPD, Army National Guard Counter-Drug Taskforce, NYU and other community-based organizations to kick-off a Day of Action to raise awareness among Public Housing residents, and to combat marijuana use while pregnant. Beginning with the General Grant Houses, and then on to Manhattanville (April 11th), they are placing public service announcements on EVERY door in Public Housing in Harlem. The purpose is to inform pregnant women of the harms of consuming marijuana on the development of the fetal brain. A FREE eight-week workshop is being offered to help these women decrease stress through holistic approaches. The aim is to reduce and stop use while pregnant. 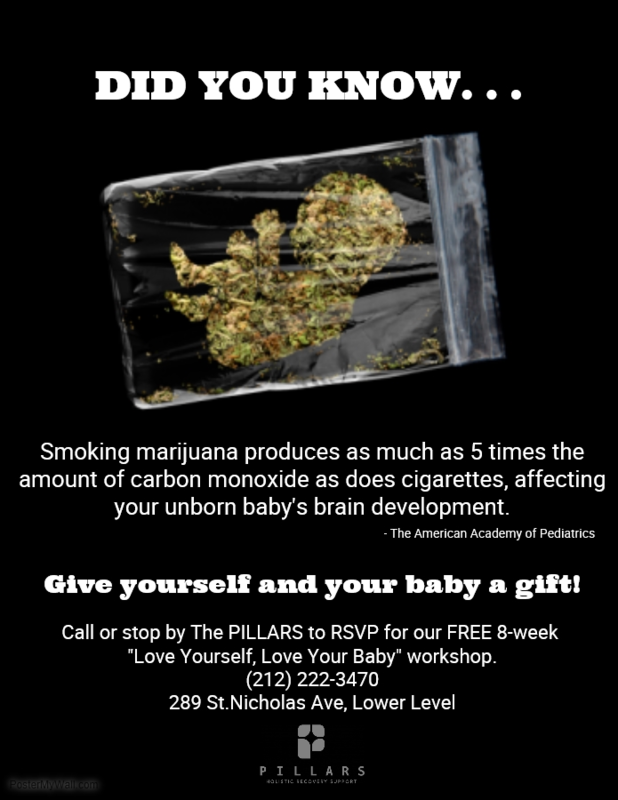 If you would like more information about the “Love Yourself, Love Your Baby” campaign, please contact The PILLARS at 212.222.3470, visit them on the web www.pillarsnyc.org, or email fpullen@pillarsnyc.org.